The two main types of termites common in the Northwest are the dampwood termite and the western subterranean termite. What they have in common is their ability to quickly damage and destroy the building materials in your home. Both of these termites propagate quickly, and they each have specific courses of treatment for correct elimination. 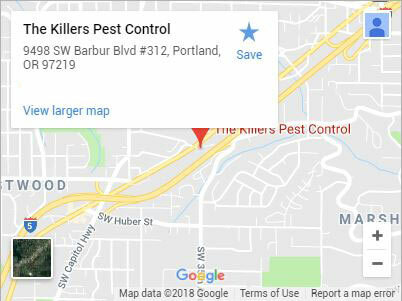 The Killers guarantees our advanced termite control in Beaverton and the surrounding area. When you call us, we will eradicate your termite problem, guaranteed! It is estimated that $1 billion is spent each year in termite damage repair and control measures in the US. Because termites are not easily identified from outside the home, it is imperative to have your home or business inspected for this threat. Our termite control professionals have the experience and skill to complete a thorough inspection and diagnose the state of your structure in regards to termite infestation and damage. 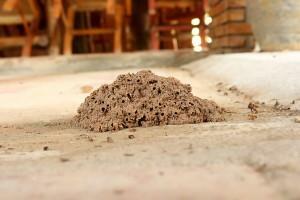 We recommend that every building receive a termite inspection at least once each year. 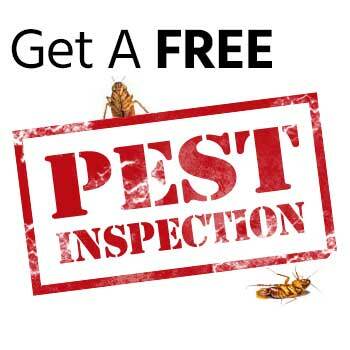 We offer free termite inspections, so there is no reason to put it off any longer! 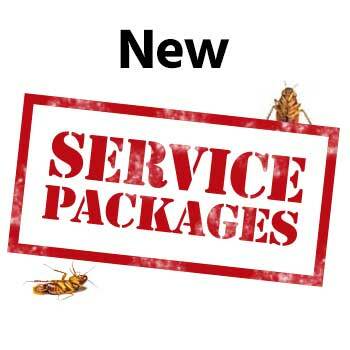 We deliver preventative termite control, so you can avoid damage as well as guaranteed termite eradication for homes and businesses already dealing with an infestation. Dampwood termites, just as their name suggests, need moisture to survive. They infect only wet wood, so are not a threat where wood is dry. They are most commonly found where wet wood and soil meet, though they do not require soil contact to enter a building’s wood. 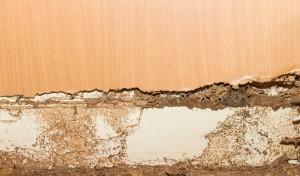 The most effective way to treat dampwood termites is to eliminate the moisture. We offer crawl space restoration services to reduce the moisture and restore the proper airflow of your crawl space, if that is where we find the termites originating. To ensure that dampwood termites are eradicated and unable to return, we also offer treatment with time-tested, proven products which will protect the wood of your home for years to come. The subterranean termites come up from the ground and are some of the most aggressive types of termite. One common indicator of this type of termite is the soil tubes they build. You may see them coming up from the ground in your crawl space or from cracks in the foundation of a basement or garage. They can also be seen around the foundation of a building. Subterranean termite control often involves pulling back the soil around the foundation of a building, treating the wood, and then mixing the termicide with the soil before replacing it back around the building’s structure. Bait stations may also be placed around the home. Termites are not something to neglect. The damage they do is spread shockingly fast. If you have not had an inspection this year, or suspect you have an infestation, contact us right away for guaranteed termite control in Beaverton.